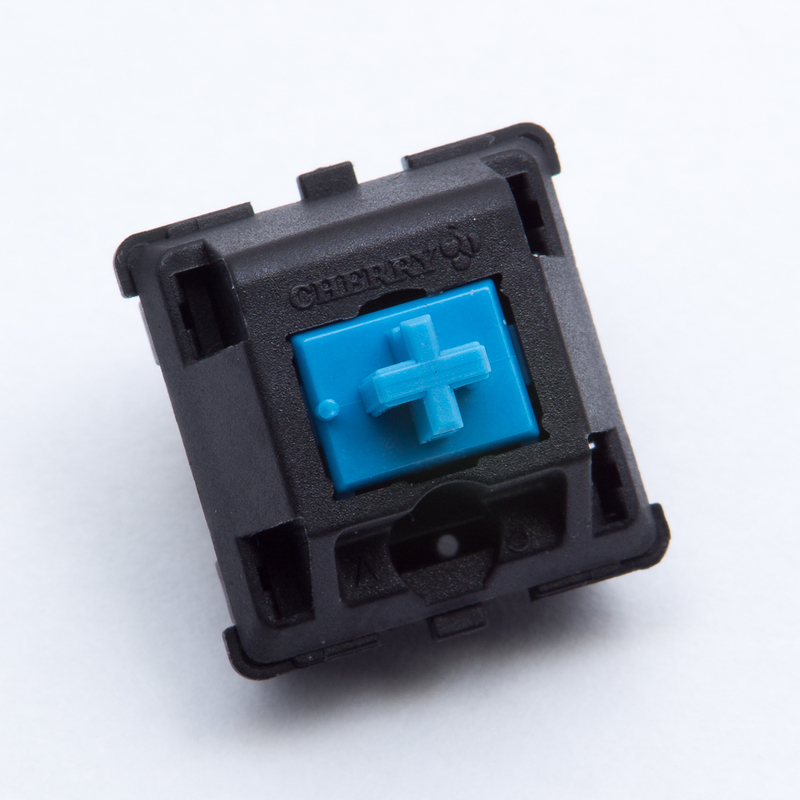 Cherry’s original MX switch lineup didn’t include a loud tactile clicky model. MX Blues, based on earlier MX White switches (which emit quiet clicks), were introduced to fill that niche. MX Blues utilize a complex click mechanism. A second slider component, which fits around a main stem, builds up force on a contact leaf. The secondary slider then slams into the housing. It often bounces on the housing several times, creating a characteristic rattly noise that some may find unappealing. Tactile feedback is present on the downstroke. A severe force drop off, which is related to click mechanism reset, affects the upstroke. Significant hysteresis is present due to the design. Clicky keyboard switches can be too loud for some office environments. Coworkers, company policies, and (in some cases) regional laws regulate office noise. Ask around before bringing a click keyboard to work.